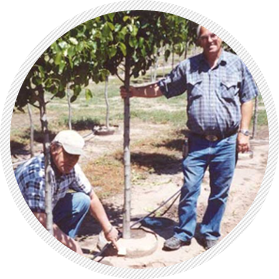 The Root Control Bag system of growing was invented by us at our tree farm in 1980. Since that time, the system has developed extensively. Millions of plants have been grown, and are being grown, in the bags. The bag system of growing is proven and is being used by a great number of progressive nurserymen around the world. It is advisable that you keep our 800 number handy for questions. There is no need for you to make a mistake when others know the answer. structure equipment will be set up, its time to start ordering the parts. Do not gloss over the preparation phase! It will be difficult to move things around if your layout isn’t planned properly from the start. This is especially true of an in-ground system. 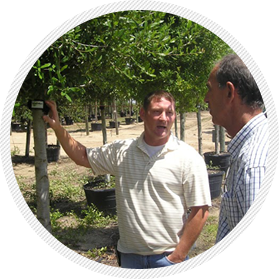 You will want to coordinate to make sure your equipment arrives before your plants. Otherwise you’ll have plants sitting around that could die while waiting for the equipment to get delivered and set up. 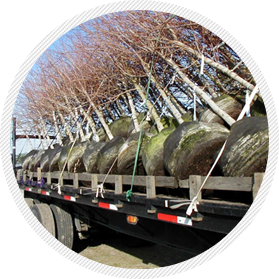 We recommend giving us a call and ordering your bags 2 weeks before you expect your plants to arrive - and as early as possible during Spring, the busiest time of the year. For your in-ground bag, plant with the bottom ﬂat and the sides straight. Most growers prefer to plant the bag with about an inch of fabric above the soil level. 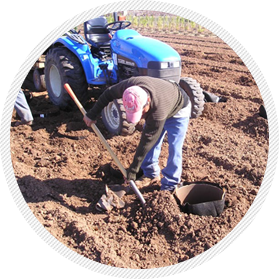 Do not plant too deep or too shallow. For both in-ground and aboveground containers, use a ridged sleeve to hold the bag open when back ﬁlling. This sleeve will help ensure proper planting. That means if there is a problem we’re here to help. We work closely with our suppliers – they are all U.S. based – and in the very rare case that something isn’t right... we’ll make it right. Most problems that arise come from improper use of the bags. So make sure you’re customers know to remove the bag before replanting and they’ll appreciate the healthier plants and smaller ball size of a bag-grown tree. Come by, shake a hand, and say hi. We'd love to meet you. View the shortlist on the right to see the immediate events we'll be attending. Click on any event to see the month's calendar and event details, or click on the full calendar to view our full schedule for the year.